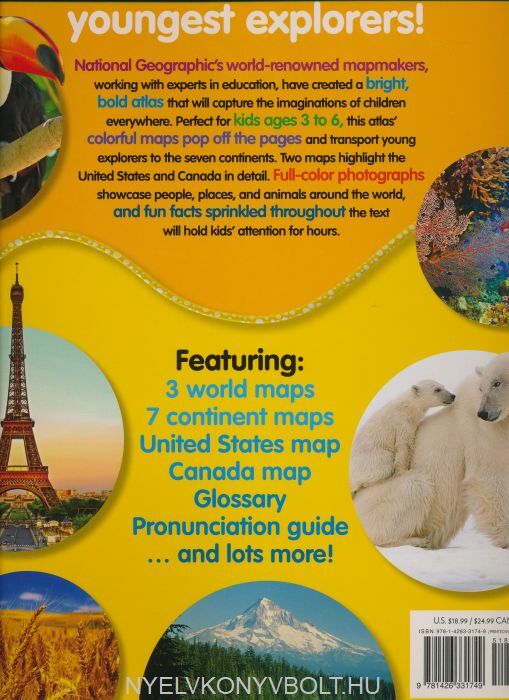 Introduce preschoolers to the wonders of the world with this beginner atlas, created with the map experts at National Geographic. Simple, colorful maps, bold pictures, and accessible text present basic geography, continent by continent, to spark kids' curiosity about the planet we inhabit. They'll learn elementary mapping skills and concepts such as the difference between a globe and a map. They'll learn answers to questions, like what is a compass rose? What features make up the land? Where is the ocean? And what are the countries where people (and animals) live? 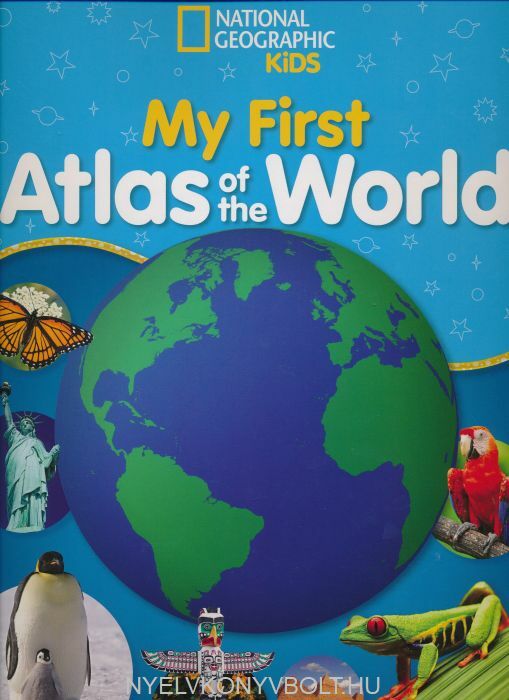 Reviewed by geography and early childhood consultants, this delightful atlas makes our world accessible to even the most junior explorers. Még senki nem írt értékelést ehhez a könyvhöz.